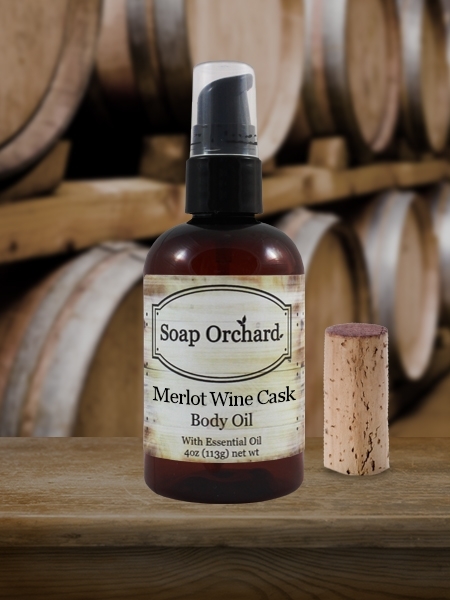 You will love Merlot Wine Cask Body Oil. Made with Grapeseed and Sunflower oil, wonderful for sensitive skin. This is highly moisturizing and smells of the Merlot grape before it is ready to drink. Sweet and beautiful. Grape Seed Oil, Sunflower Oil, Wine Fragrance Oil, Orange Essential Oil, and Rosemary Extract.